4for4.com (Web Site) is copyrighted property. All Rights Reserved. All trademarks appearing on the Web Site are the property of their respective owners. 4for4.com is run by Intense Industries LLC, a North Carolina corporation. Personally identifiable information is only collected when visitors themselves knowingly and voluntarily submitted it. In those cases when visitors voluntarily submit personally identifiable information, 4for4.com will not distribute the information to a 3rd party. 4for4.com will attempt to maintain appropriate safeguards to ensure the privacy of any personally identifiable information submitted. In general, 4for4.com does not collect personally identifiable information (e.g. name, address, phone number, email address, etc.). Your personal information is only collected when you voluntarily provide it to 4for4.com. We may collect and store information, personal or otherwise, that you voluntarily supply to us via e-mail, or in any other way. Some examples of this type of information include the information you submit (such as your e-mail address) when you register for contests, newsletters, surveys and/or order a Premium Service Membership. If you decline to supply or provide us with certain information, we may not be able to provide you with some services that require this type information. The 4for4.com Premium Service Secure Order Form is certified by a leading provider of next generation information security services that address the fundamental need for e-business security and confidence. More than 5,000,000 customers in 80 countries use security services to conduct business efficiently and cost-effectively over the Internet and wireless networks including Fortune 1,000 companies throughout every industry. When people visit a web site with the intent of making an online purchase, they want proof of the identity of the web site owner. They also want to know that their personal information cannot be read by hackers. Secure Certificates provide this peace of mind. At various times, 4for4.com may collect certain non-personal information to optimize web pages for your viewing. Non-personal information includes, but is not limited to, things such as the type browser you use, the type operating system you use, and the domain name of your internet service provider. Collecting this type of non-personal data is a generally accepted standard industry practice. We may use such non-personal information for internal purposes and to ultimately improve 4for4.com site content for your viewing benefit. In addition, 4for4.com may use this type of non-personal data to generate aggregate statistical information for the purposes of system administration. By using 4for4.com you hereby agree to be bound by the policy above. Thank you for your cooperation. 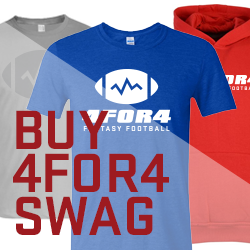 We hope you enjoy 4for4.com!